A tiny spacecraft designed to sail by the power of the sun is scheduled to launch atop a SpaceX rocket in 2016, a leading US space enthusiast said Wednesday. The Planetary Society's LightSail, an unmanned satellite-like craft known as a solar sail, aims to reach orbit aboard a SpaceX Falcon Heavy rocket in two years, said the group's leader Bill Nye. 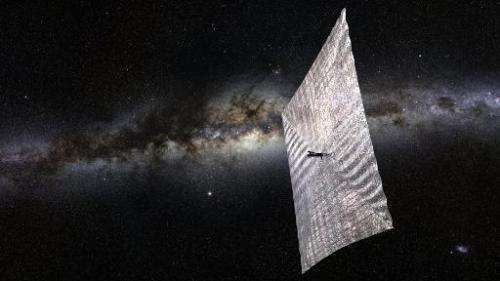 The foot-long (30-centimeter) spacecraft with its four, ultra-thin Mylar sails may then undertake a journey around the cosmos, powered only by the constant pressure exerted by sunlight. "It is so thrilling to see this grand endeavor setting the date for its pioneering mission above our planet," Nye said in a statement. 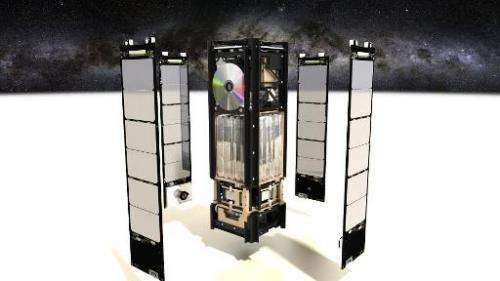 The project is funded by private donors and members of the Planetary Society, which describes itself as the world's largest space group and was co-founded by famous American astronomer Carl Sagan in 1980. Solar sails have generated excitement due to their potential to travel to other stars and galaxies, without the need for fuel. "Closer to home, solar sails may give us access to unique orbits for vital Earth science and space weather missions," said Jennifer Vaughn, the chief operating officer of the Planetary Society. LightSail aims to go beyond low Earth orbit, where the International Space Station circles the Earth, into medium Earth orbit. The solar sail will initially be stored inside another spacecraft, called Prox-1, which will eject the solar sail and then follow it and take images of it. A few weeks after it reaches orbit, the LightSail's reflective wings will expand to 344 square feet (32 square meters), making it visible from the Earth. Nye said a test flight, using a smaller rocket and a lower orbit, may be attempted next year. The society attempted in vain to launch a solar sail called Cosmos 1 in 2005. That bid was unsuccessful due to a failure with the Russian booster. 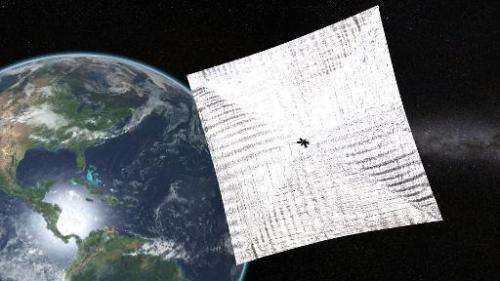 The Japanese space agency in 2010 launched IKAROS, which became "the world's first demonstration of solar power sail," according to JAXA's website. A NASA solar sail called Sunjammer is scheduled for takeoff later this year.